Cloud Climbing Beauty: Today, Tomorrow, Always...ABSOLUTE! Introducing Absolute, the newest fragrance in the Today, Tomorrow, Always collection. Absolute is an extravagant parfum meticulously crafted with fragrance oils in their highest concentration for a luxurious scent that's truly long-lasting. A chic floral fragrance as pure as absolute love...an everlasting floral heart of orange blossom with sparkling bergamot and sensual woods. Don't forget that Mother's Day is coming up in just a few weeks. 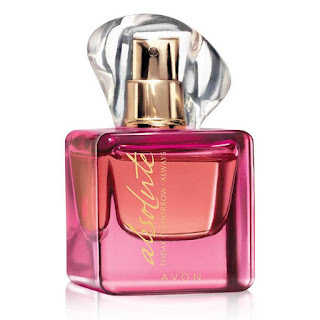 This beautiful fragrance in a stunning bottle will make a wonderful gift for any special woman, be it mom, daughter, or even yourself!